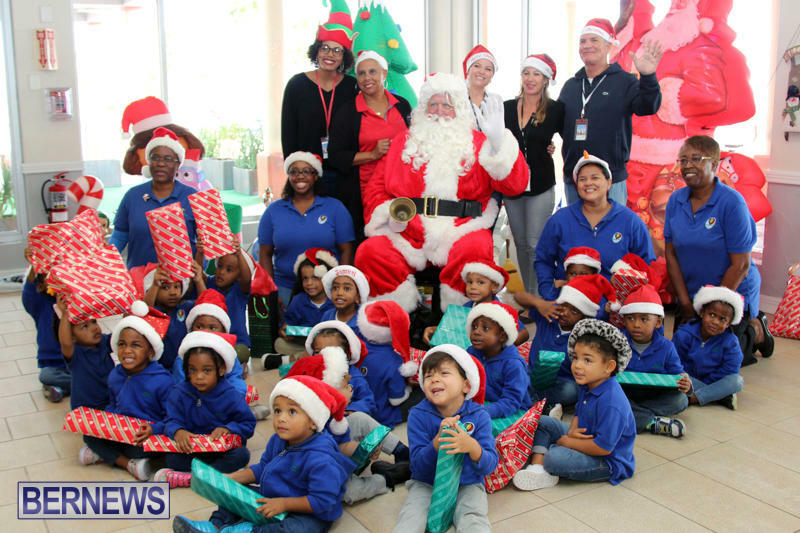 Staff from The Annex Toys were joined by children from Aeries Adventures Nursery and Preschool at the L.F. Wade Airport today [Nov 24], where they welcomed Santa Claus who arrived in Bermuda on an Air Canada flight. 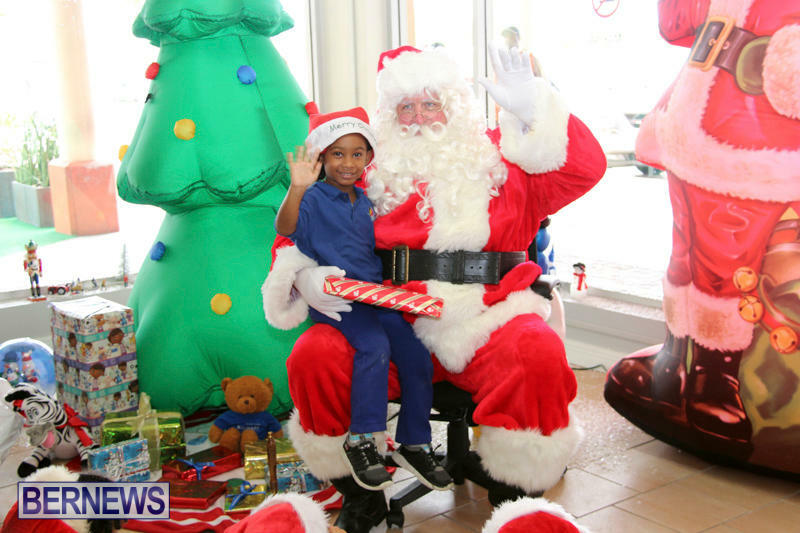 Santa sat down with the children for a chat and presented them with gifts, later joining them in singing Christmas carols. 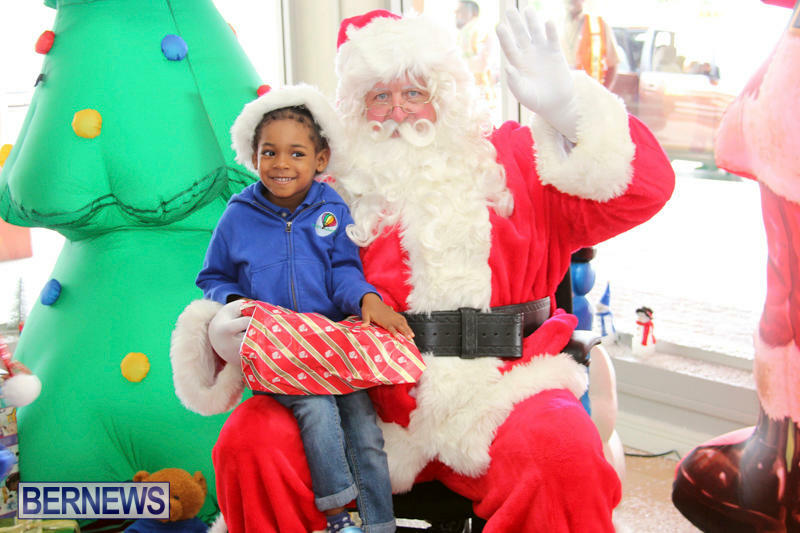 Santa will be available this evening at 7.00pm at Annex Toys to meet children and pose for photos from 7.30pm to 8.30pm, with ongoing appearances set for December 2, December 9, and December 16 from 10.00am to 12.00pm each day, with photos taken from 10.30am to 11.30am. 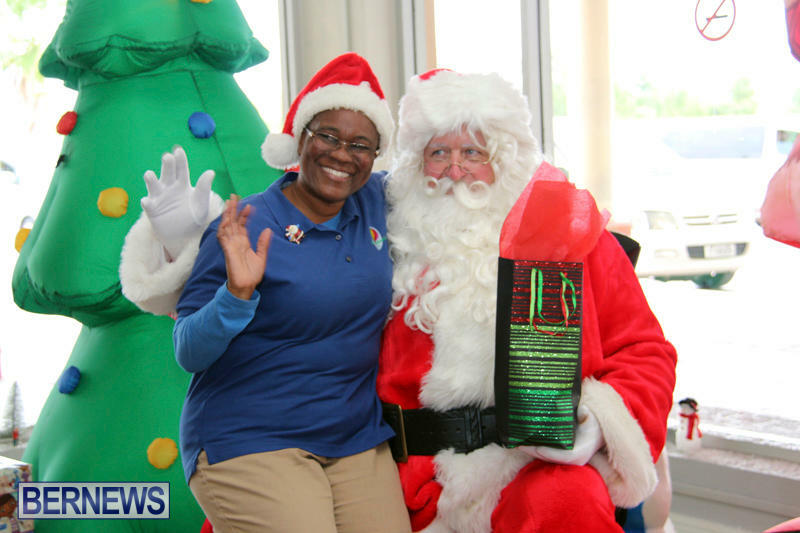 Additionally, a ‘Letters to Santa’ show will air on ZFB TV7 starting on December 4, with children able to hear Santa read their letters. 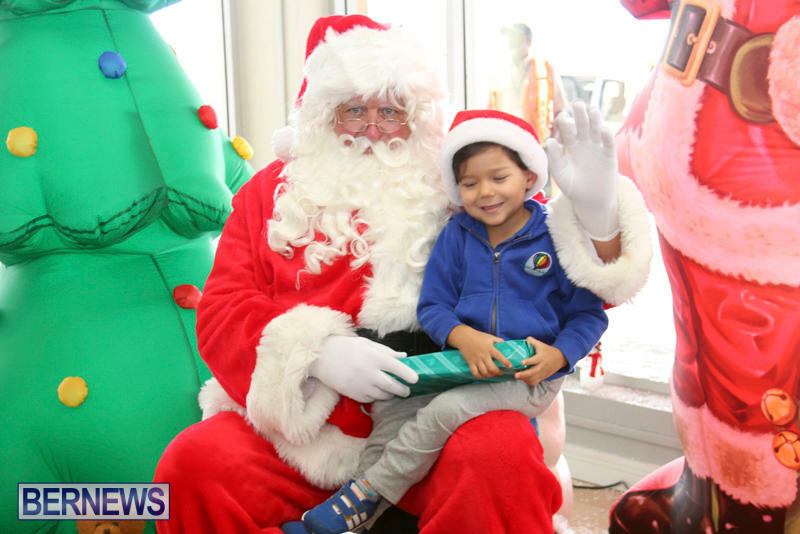 A spokesperson for The Annex Toys said, “We are grateful for the support of Skyport and Air Canada for facilitating the arrival of Santa”. 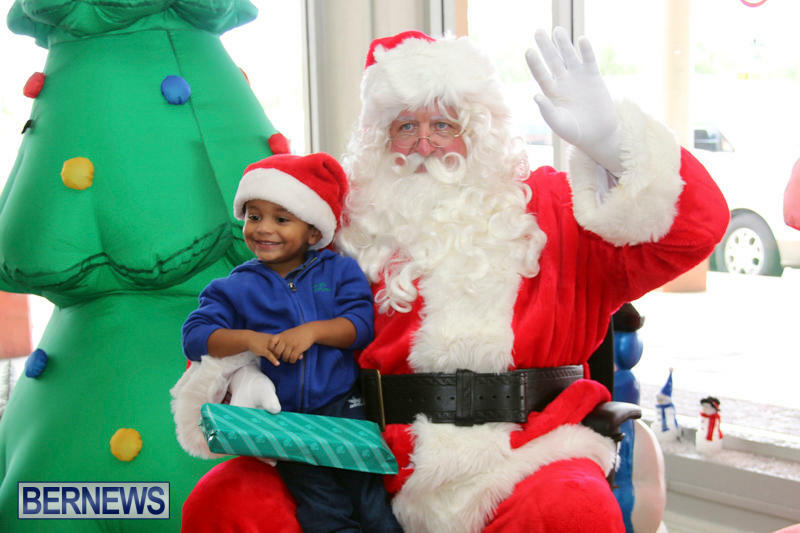 With all of the diversity in Bermuda and considering the majority of people in Bermuda are not white , can I ask why are we continuing with presenting a white Santa clause to Bermudian children? Who cares. I am black.. and idnt care what color the man is. Hes been white my whole life.. big whoop! Didn’t you get schooled over this enough 3 weeks ago ? 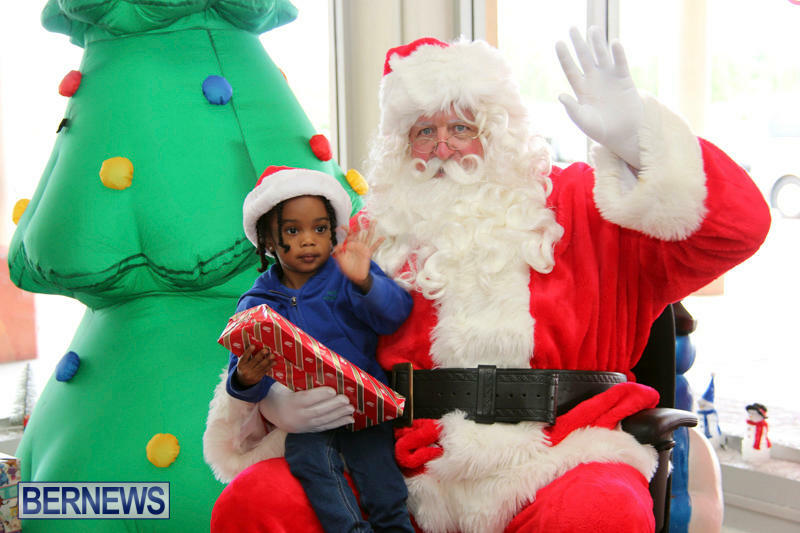 Black Santa Claus comes at Kwanza! So why don’t you do it? I’m assuming you’re black, go online buy a Santa outfit and be black Santa, no ones stopping you. Santa Claus is white because he is an invention of white culture. I see your point but I don’t think children really care what color he is. The only thing they’re interested in is what he has to offer them, contained in that red sack slung over his shoulder. 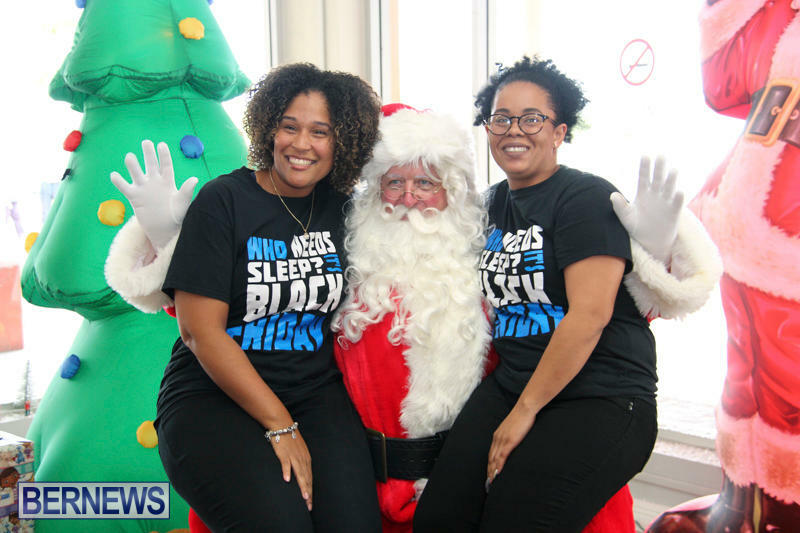 It’s just the adults who care about the skin color of a fictional white man who lives at the North Pole, flies around the world on a sleigh pulled by 8 flying reindeer (one of them with a glowing red nose), delivering toys made by little (white) elves, to every little good boy and girl….and can do all of it invisibly within a 24 hour period!! You ever watch the doll test? Google it and get back to us. Why do you think children react this way? Thank white god white jesus and white santa etc. And coal in stockings for bad children. The symbolism is heavy….where will it end? Why do we do the Santa Clause “bull” at all, red, yellow, black or white. 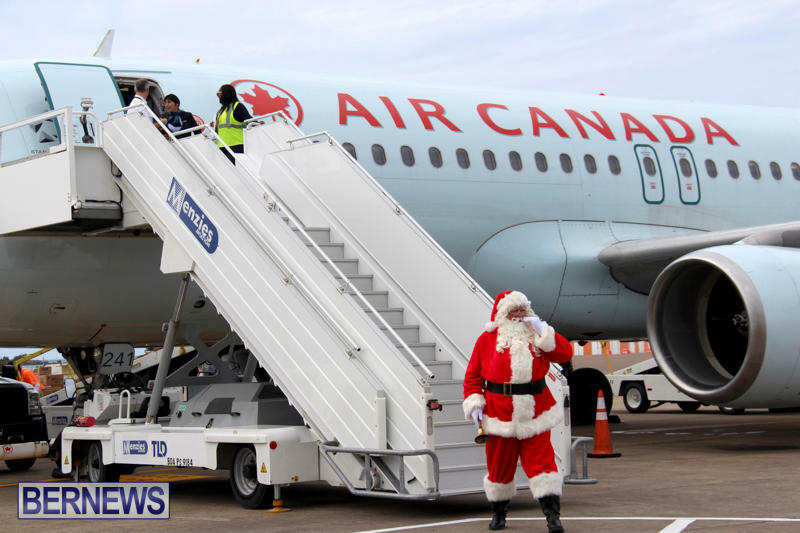 Santa Clause flew in a commercial aircraft. Stop the crap! 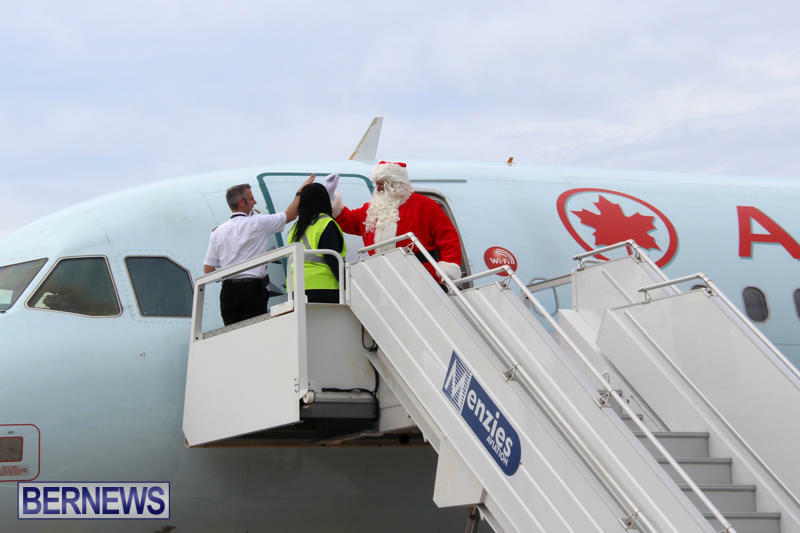 That’s what puzzles me every year…why is he flying commercial when he has his own sleigh (lol)? I guess the reindeer need to rest up for all the work the poor things have to do on Christmas Eve. What a bunch of scrooges! Ho! Ho! Ho! Get a grip already!!! Santa or St Nikolas is Scandinavian so he is white,get over it. I didn’t want to get into all that but if people knew the true nature of Santa [rearrange the letters and get Satan] and his elves, etc. they’d be shocked. The elves are actually still depicted as the demonic beings they’re supposed to be in festivals in Scandinavian countries.They are not cute and cuddly but big, creepy beings with horns and all that-there are YouTube videos online of people dressed in those creepy costumes. Also, the nature of Santa’s reindeer isn’t too innocent, either. A reindeer called ‘Vixen’? What’s a vixen? A beautiful but heartless woman. Why choose that name for a reindeer that takes presents to children? All of the reindeer are actually female but people seem to think they’re male (they have antlers while male reindeer shed their antlers during the winter). Rudolph is a recent addition and is the exception-he’s probably supposed to be male; these are fictional entities after all. Nobody say I’m a Scrooge or anything like that-this is grown folks talking real talk here for a minute. It’s all one huge pagan festival and Jesus was not born on December 25th. Grown folks talking real talk…so where do you stand on immaculate conception and imaginary beings in the sky? It’s all just a bit of fun now isn’t it? It is sad that some adults do not seem to want to embrace the spirit of the Christmas season and instead want to limit children’s joy in the small traditions by focusing on his ethnic origins. We as adults can convey that Santa represents the spirit of giving and that there are also other representations of this spirit, in all cultures throughout the world, which we as humans can share with each other. Christmas is largely lies, deceit and falsehood mixed with subliminal suggestion. Why not embrace the spirit of reality, your parents had to work hard in order to buy you over priced garbage you don’t even need for the most part, and will be cast aside in about a week (except the highly addictive electronics). 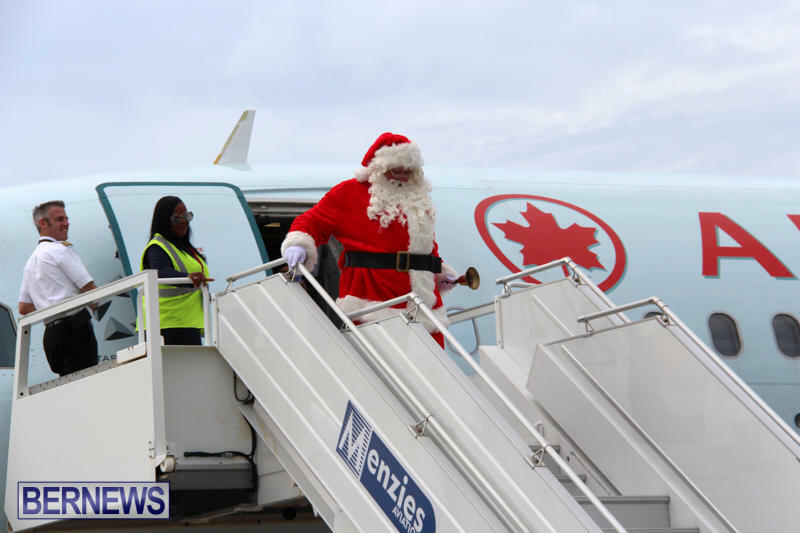 He has a sleigh, and reindeer that can fly…and yet, here he is on an Air Canada flight?!?!? It just don’t make no sense, if you think about it. 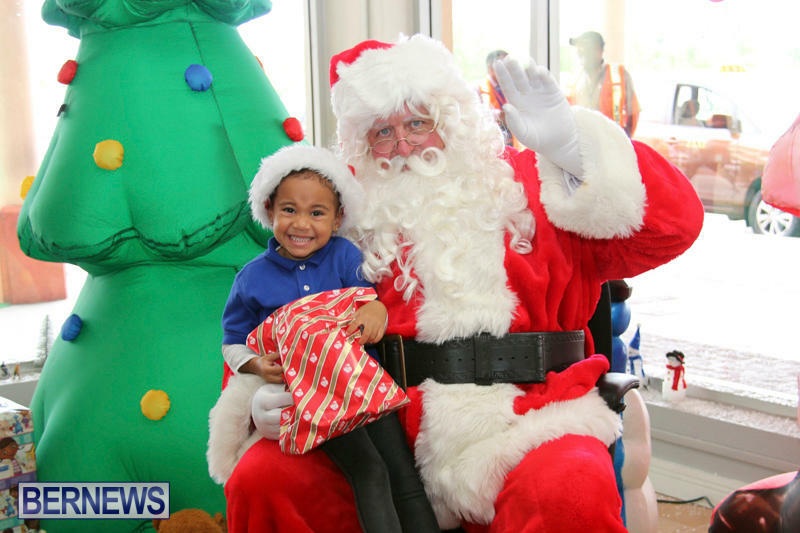 I’m beginning to suspect that Santa might not be real…..
Santa’s real but his sleigh was impounded by Bermuda Customs. He needs to fill out the right forms. They are going over the goods. He has a pre-clearance arrangement with Customs to make sure the toys are delivered on Christmas Eve. Poor Santa pays a fortune in duty-the Government no matter who is in power never reveal exactly how much he pays out. It’s all a mystery but yes, Customs do hold up the process every year. That’s what I tell my kids when Santa didn’t bring them what they wanted – Customs seized the goods because Santa couldn’t produce an invoice. look around..blacks and white going out n living together. Sick of you fools perpetuating segregation. 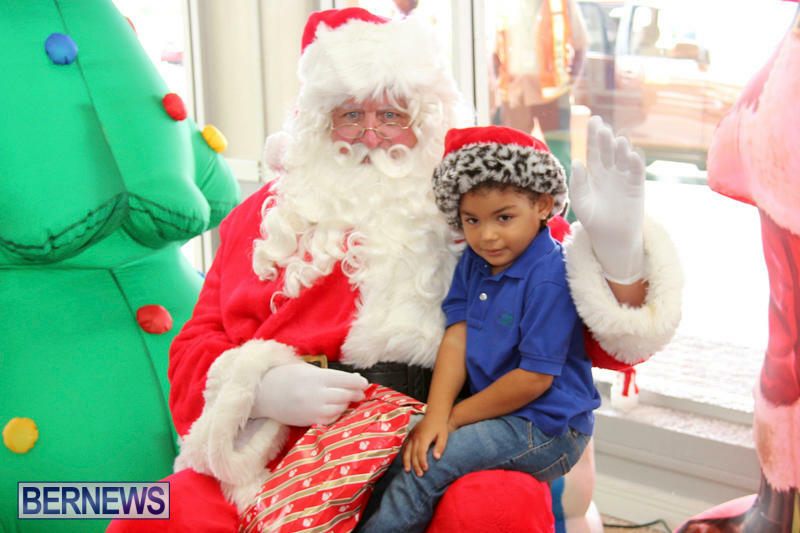 I don’t think it is bad to have a white Santa; but do find it odd in our Island to only see Santa being white … and always white when he attends commercial events. It would be good if Santa changed it up. Coppertone with a daily visit to the beach and he’d pass grade in a month.